Just a hello to all here!! I hope everyone here is doing well this new year!!! I am guilty of not posting much lately I will try to be much more active this year All is very well with Oz and Charlie! they are 2 happy budgies and VERY SPOILED!! 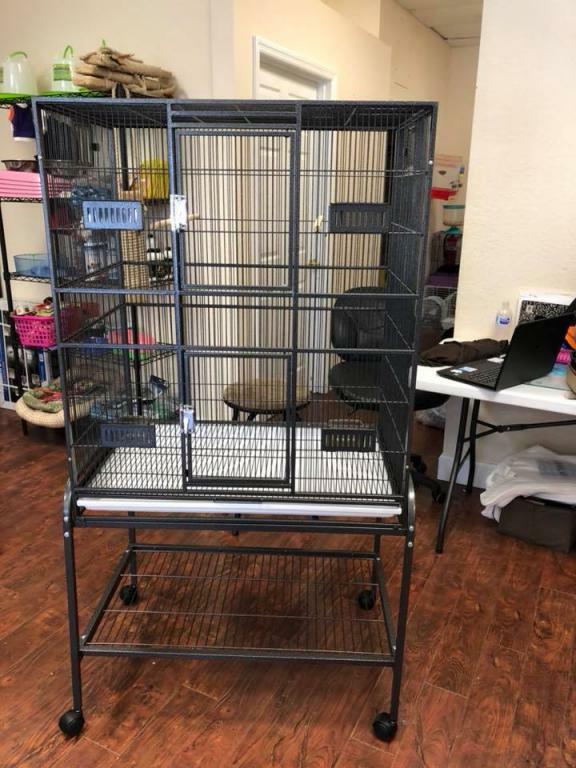 they have a even bigger flight cage now it is 3 feet wide and 4 feet tall and 3 feet deep they LOVE IT!! and have Many treats,toys and things to chew. They are very happy together and they get along very well. Oz is about 4 now and Charlie ( the yellow one) is about 6. I sure hope they live a long time! they get about 10 hours sleep at night with their cage covered ...And alot of activity during the day.They don't like to be handled too much but I do pet Ozzy quite often she likes that Charlie not so much I talk to them often daily and I whistle to them and they often reply I spend a lot of time with them every day & I clean their cage several times a day they're very spoiled. I wish I knew how long these 2 will live. Knowing that Charlie is going to be six or seven soon worries me. When I uncover the cage I always have that worry I'm going to find her at the bottom she has been very good so far no problems. They're very happy extremely spoiled and bonded instantly! 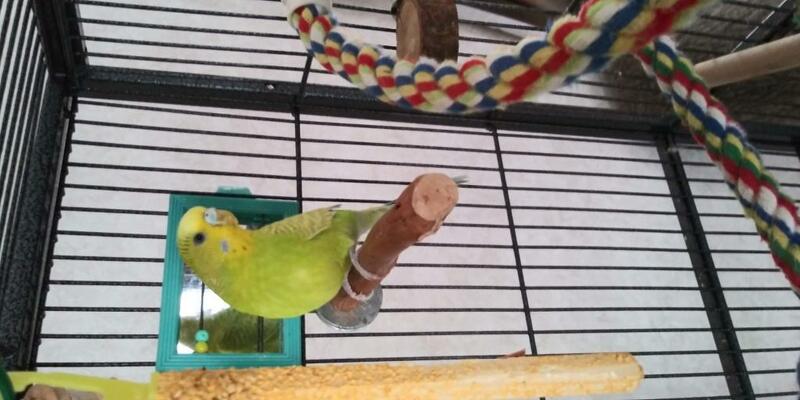 I am glad I got Charlie she was a big help making Oz a happy bird, they are like 2 peas in a pod! Ozzy and Charlie look like they’re doing well, and they’re beautiful as ever. I know that it’s easy to wonder about the lifespans of our beloved animals to the point of worry, but you need to stop yourself. It’s not a very productive thing to do. In fact, it can rob you of the joy you could be feeling in the present. Instead, try your best to live in the moment with your pets and just enjoy them . If they’re healthy, there’s no reason to think they won’t live many years longer. Looking forward to hearing more often about your girls! Charly and Ozzy look great! Like you, I occasionally think about my birds' ages as well and always say a little prayer each morning that they are all healthy and happy. You have things going well for your 2 budgies. At 6 and 7 years old, if your budgies are in good health now, they can live for many more years. Depending from what source you purchased your birds from has a lot to do with their lifespan. I have bought budgies from quality places and they can live into their teens. 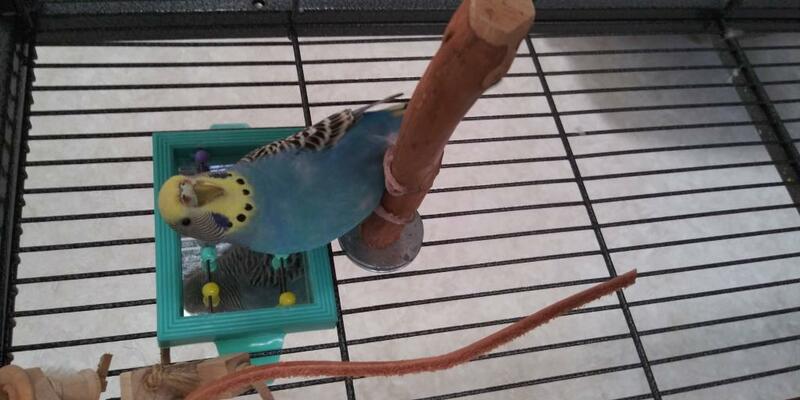 Neighborhood pet stores can be a great source for birds, but a few do sell quality birds. Good Luck. I got Oz and Charlie this mansion last year and boy do they love it!!! many safe toys, millet treats and good food plus veggies!! yes, they are spoiled. The bar spacing is less than 1/2 inch they are very safe in there. I actually purchased one like that for a friend of mine who has budgies. 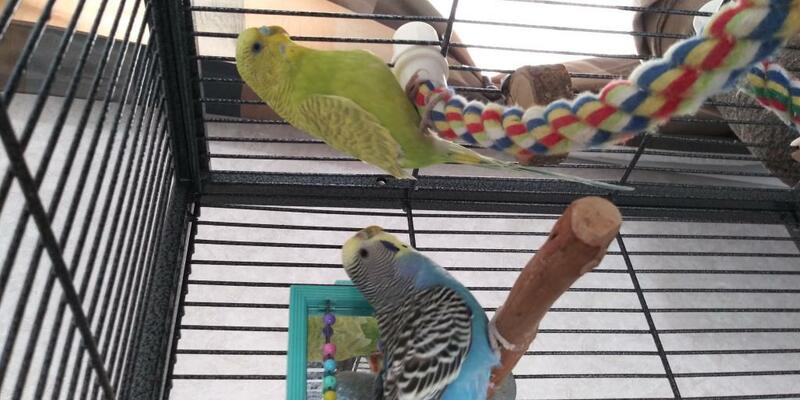 Charlie and Ozzy are very fortunate little birdies and you are giving them the love, safety and care they deserve!